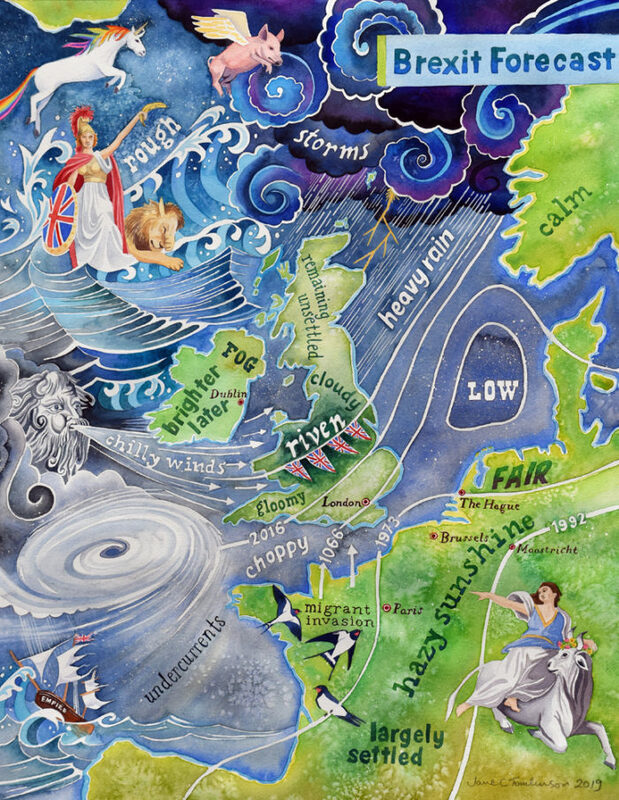 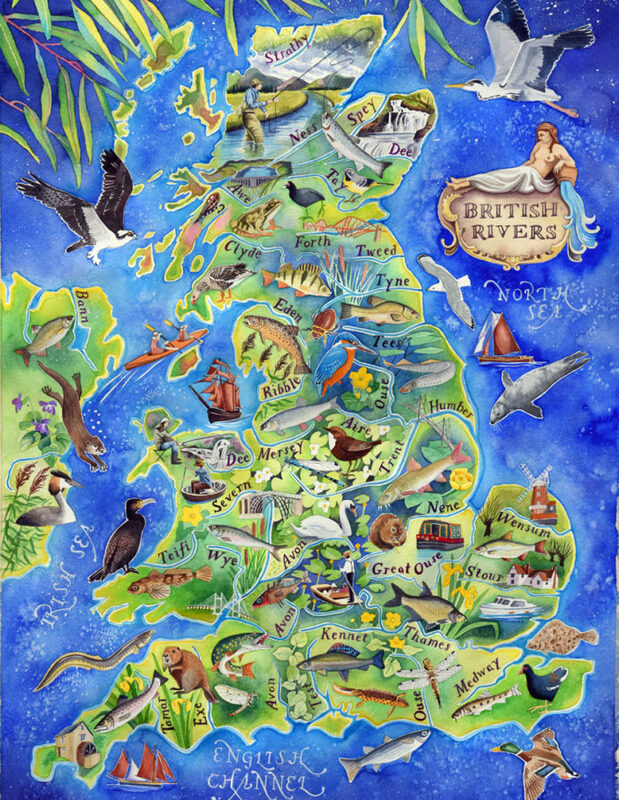 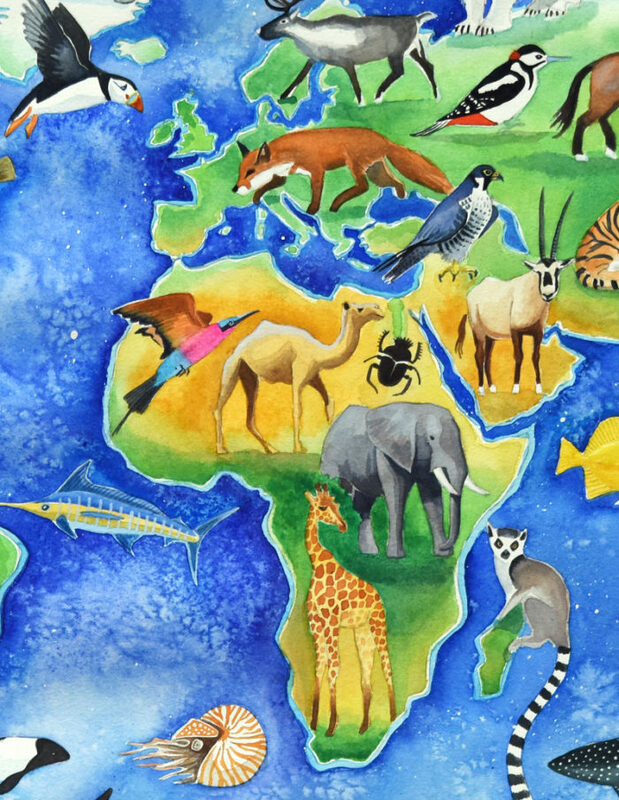 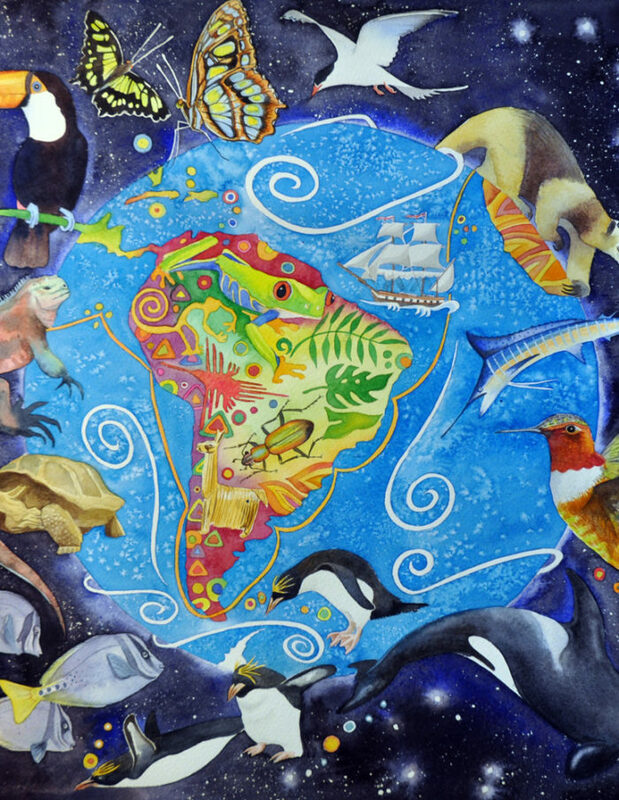 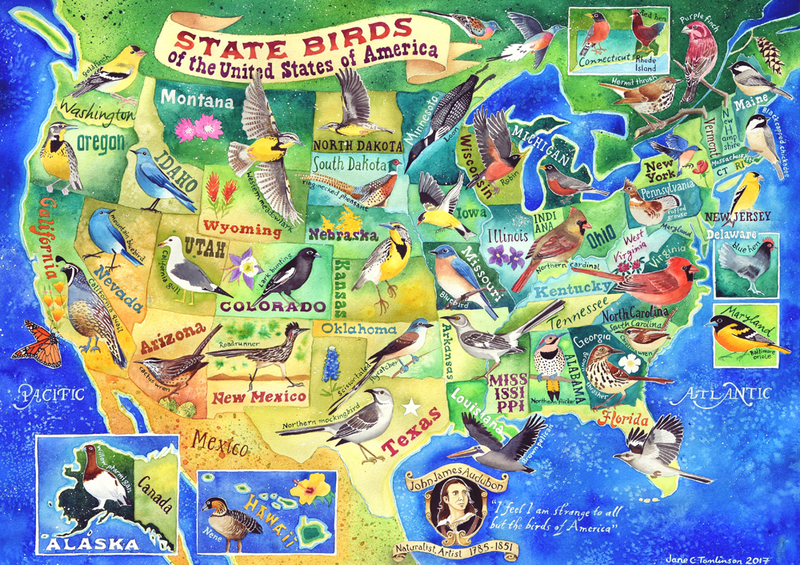 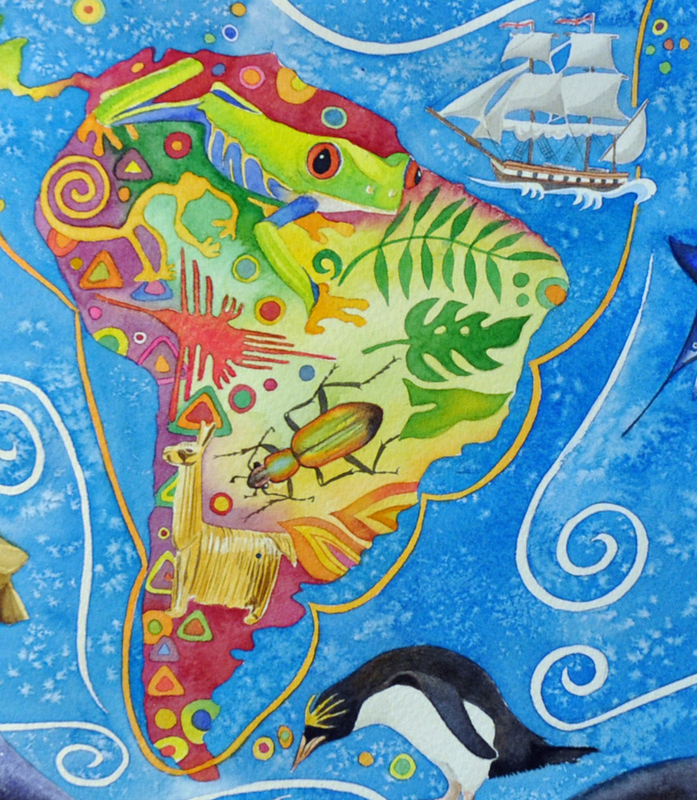 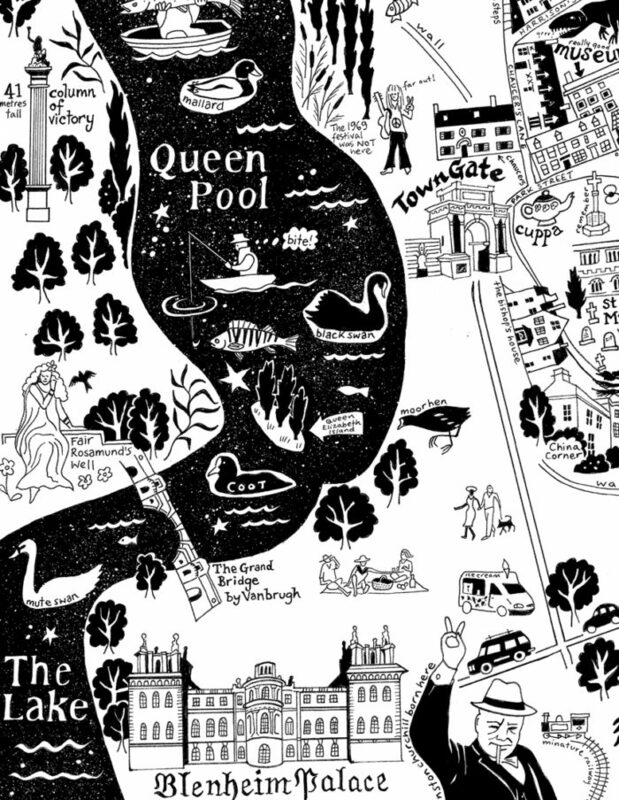 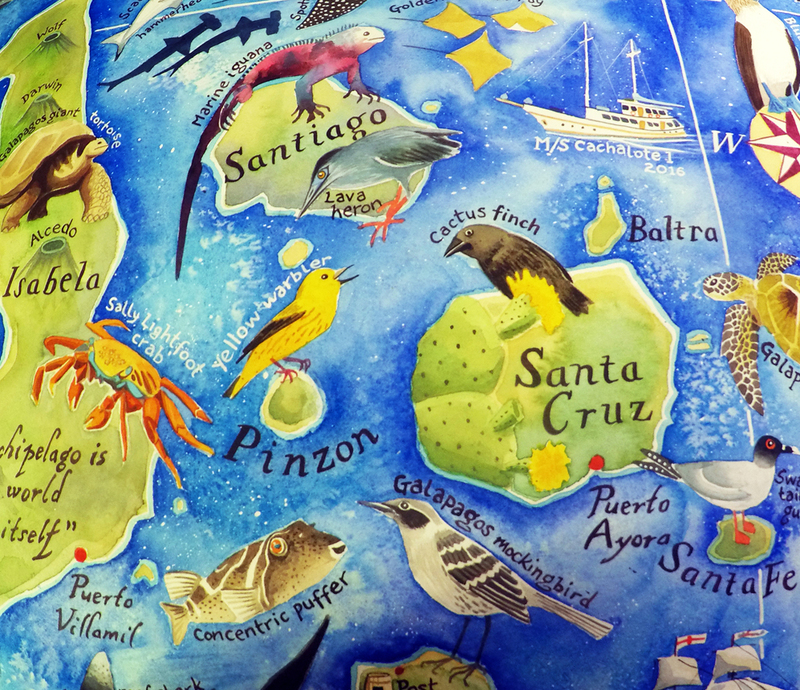 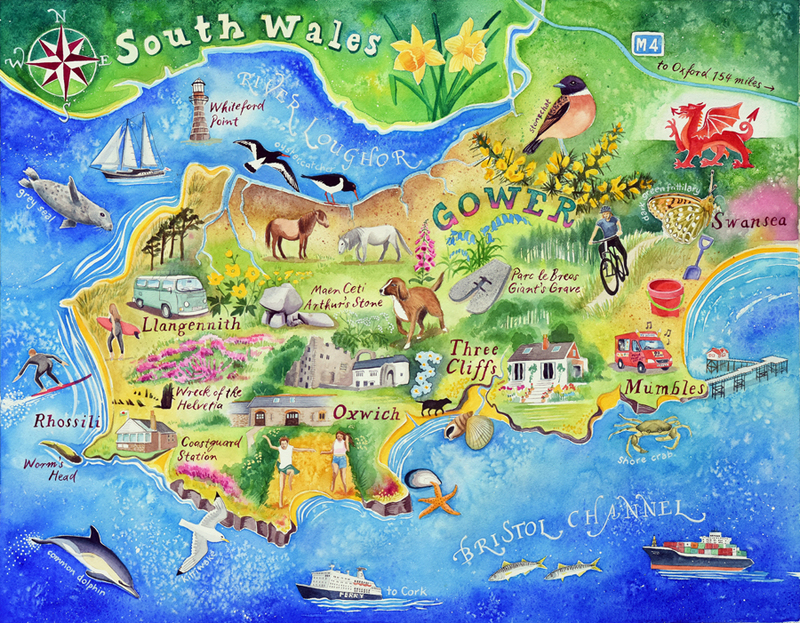 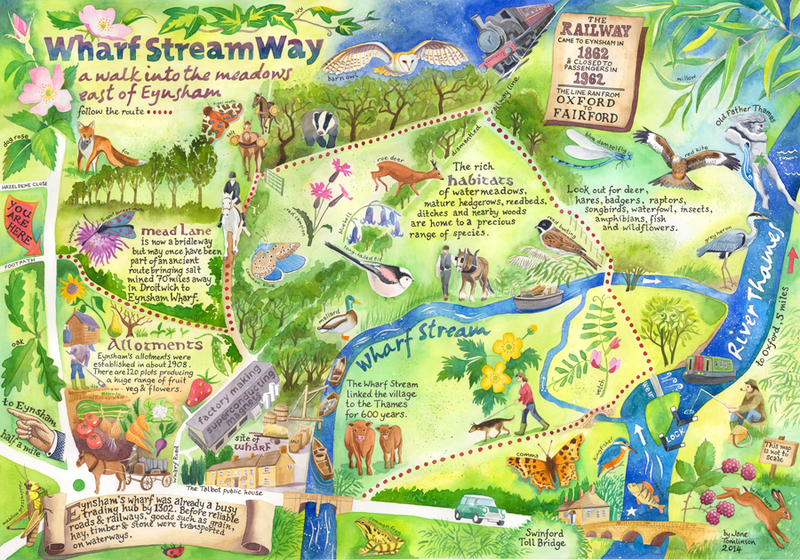 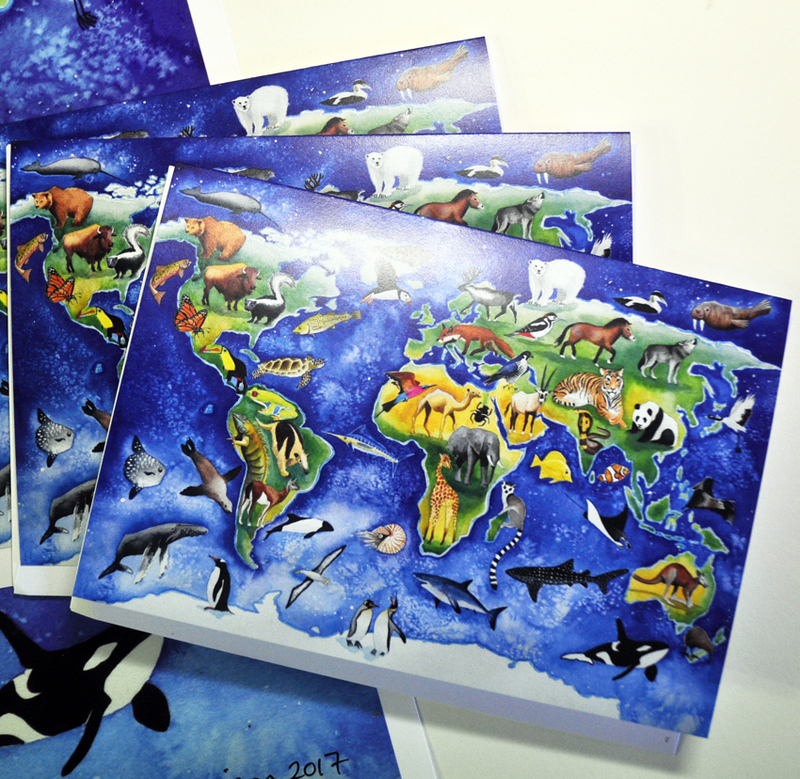 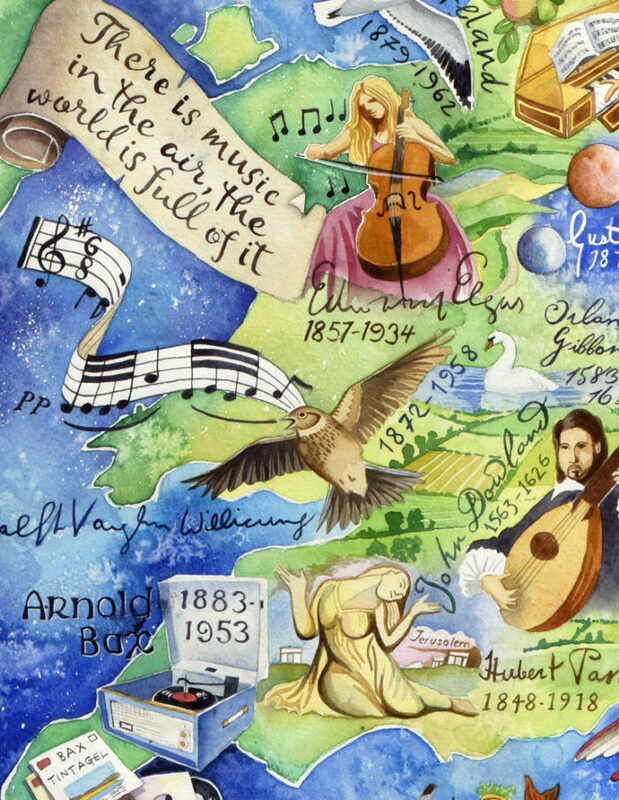 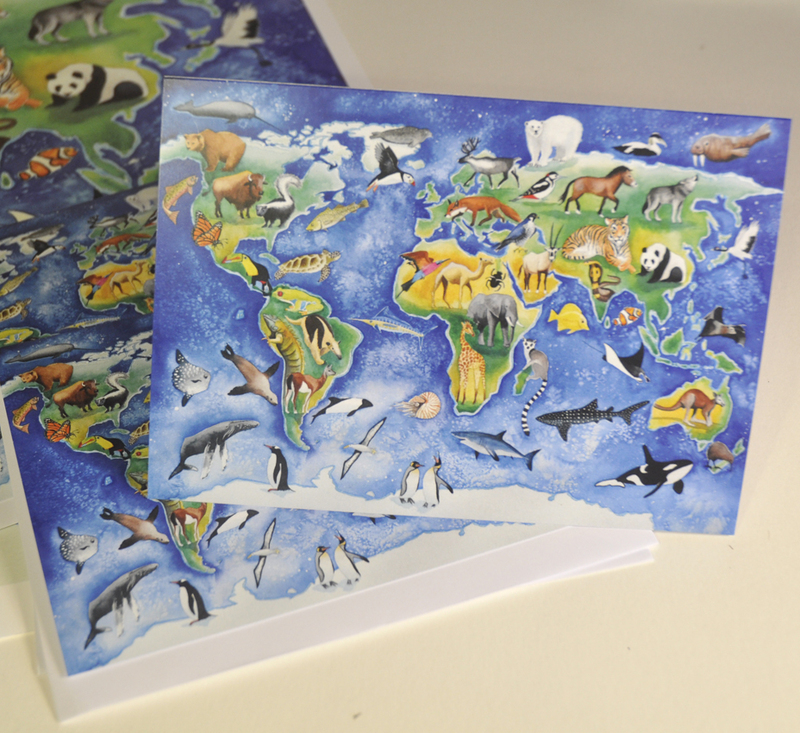 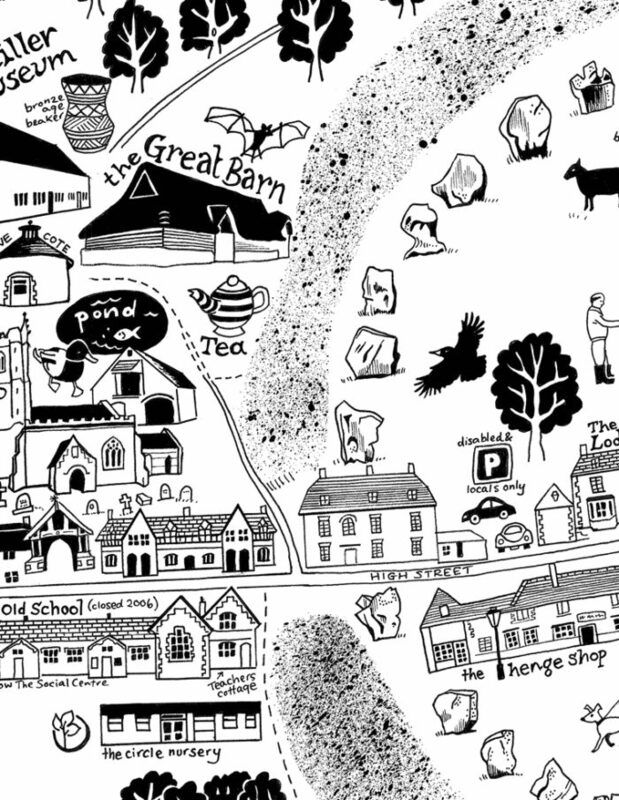 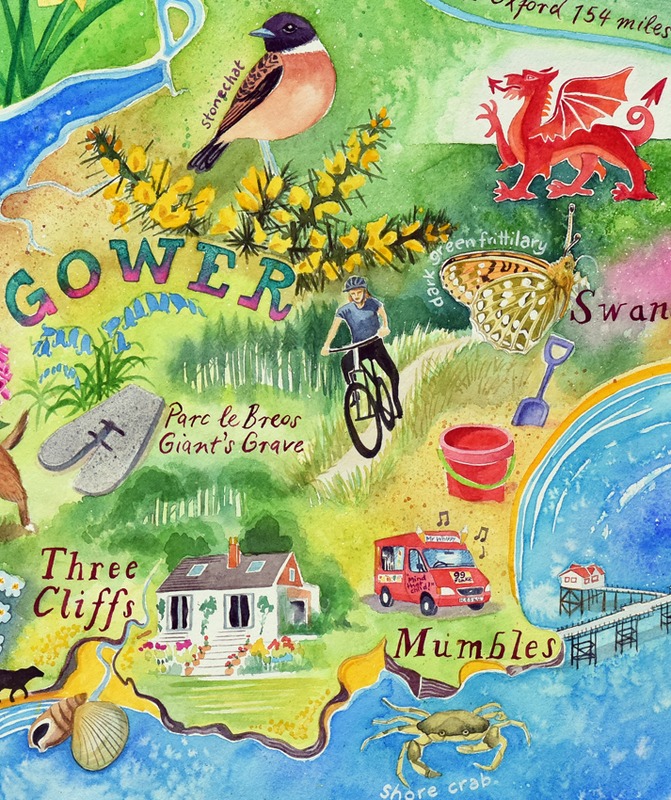 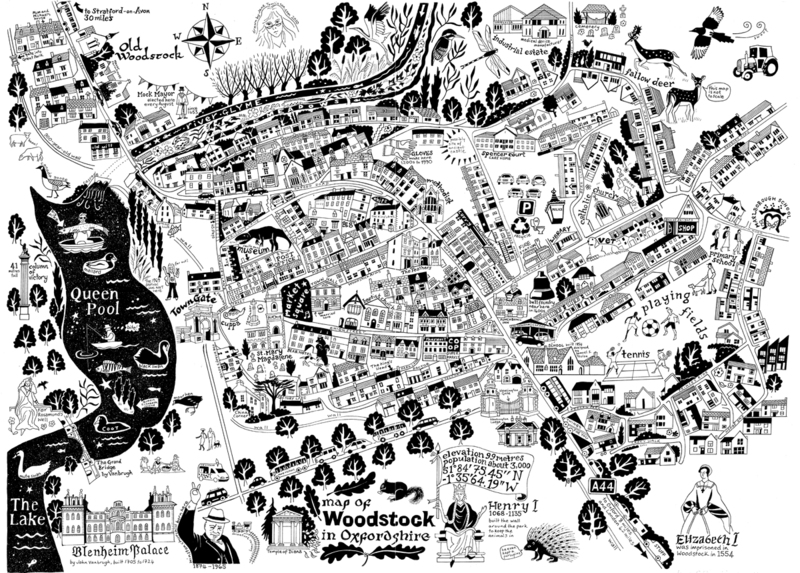 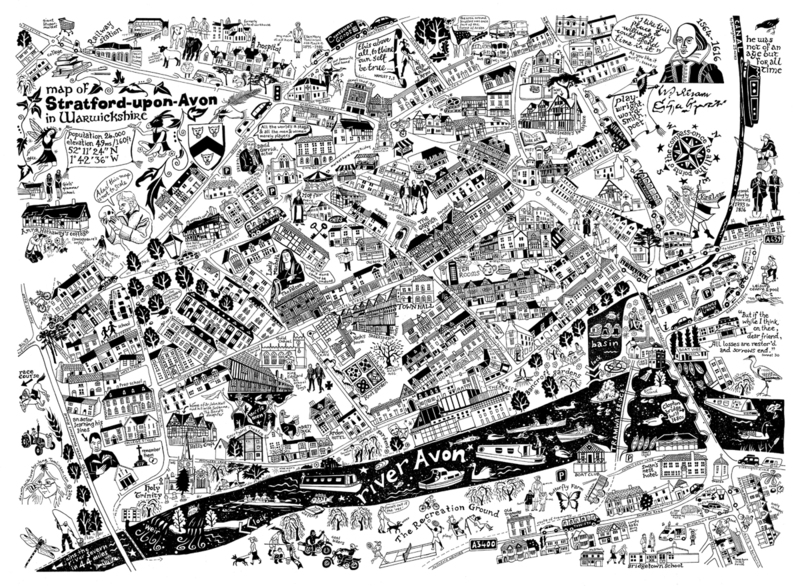 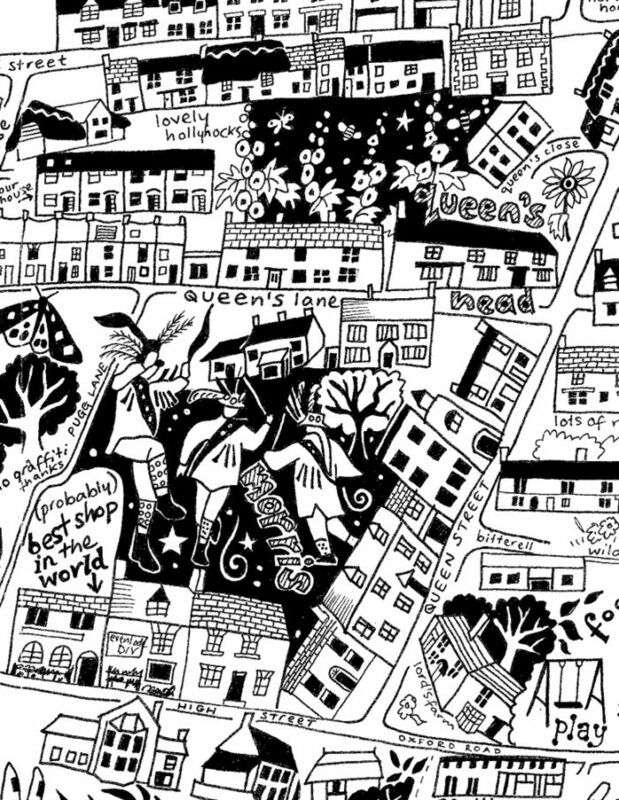 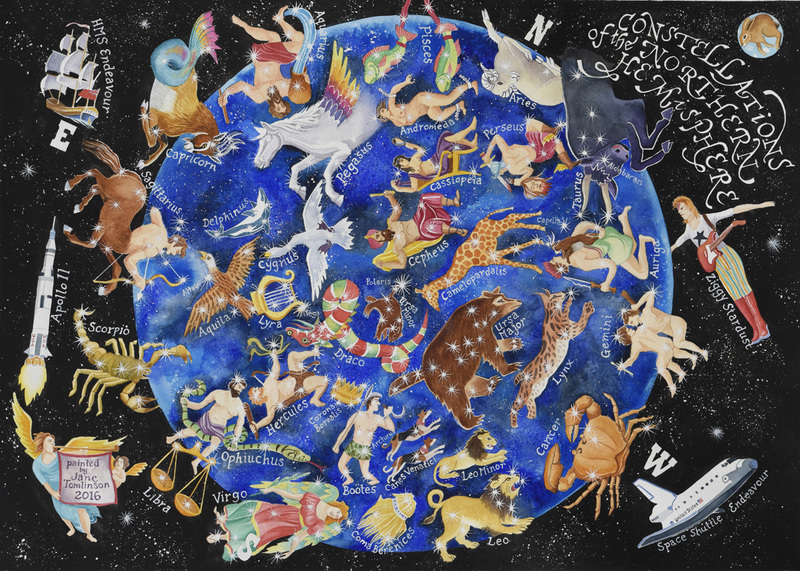 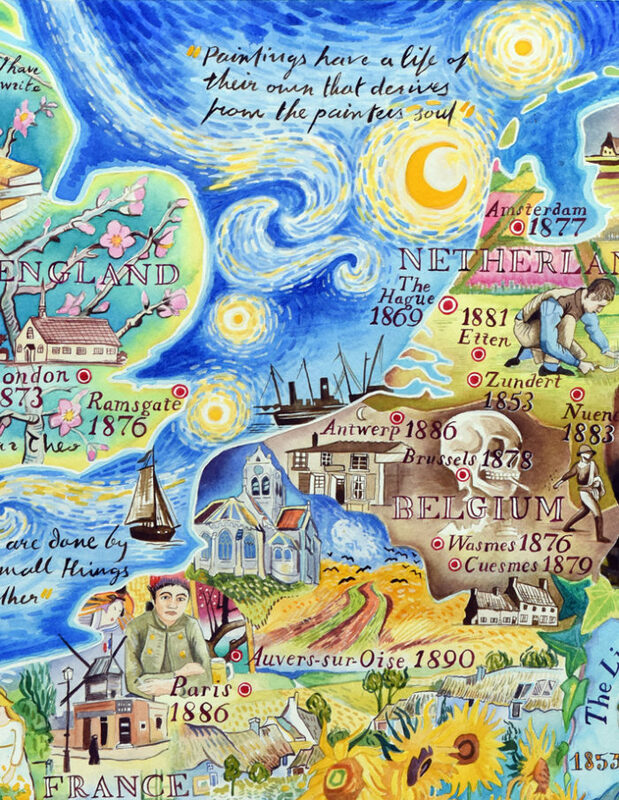 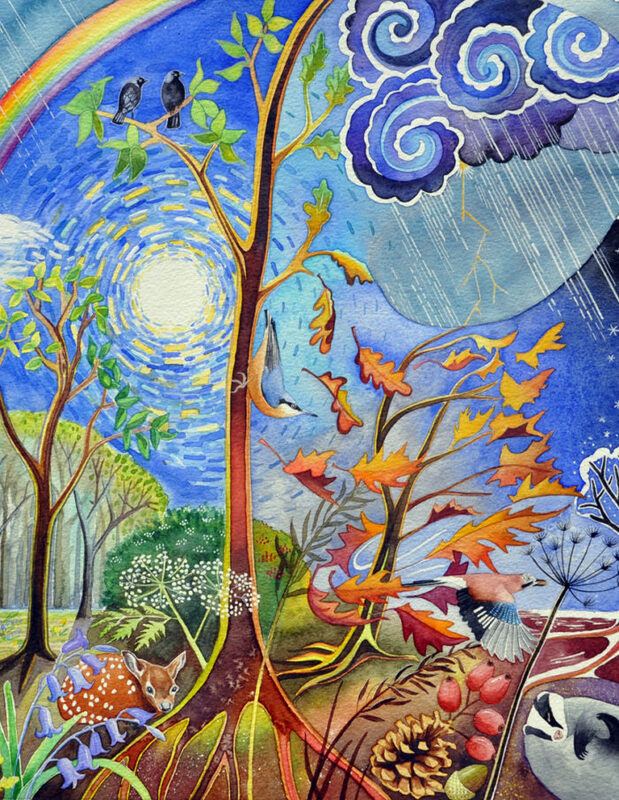 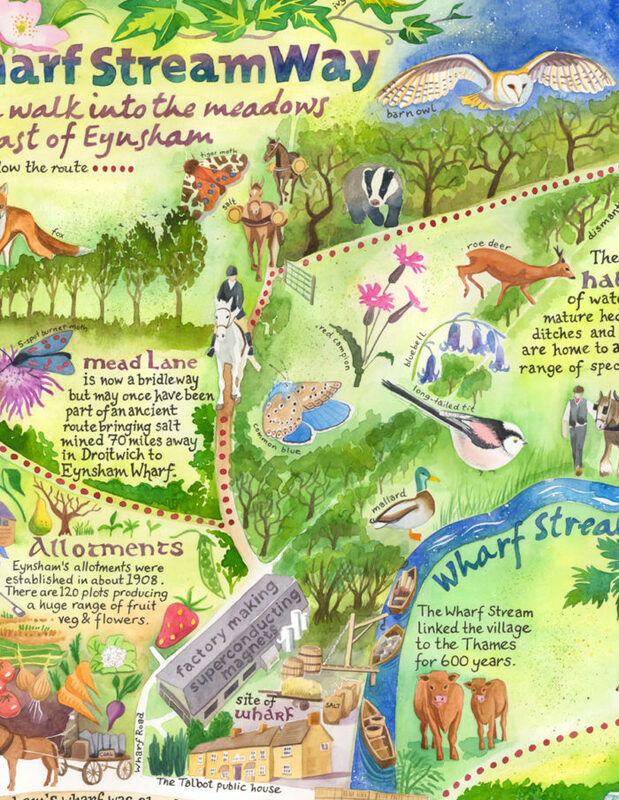 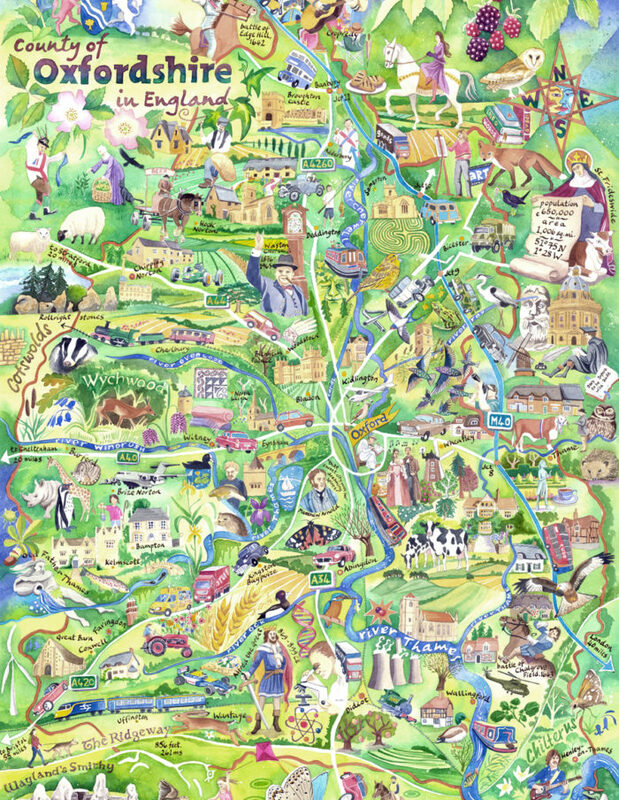 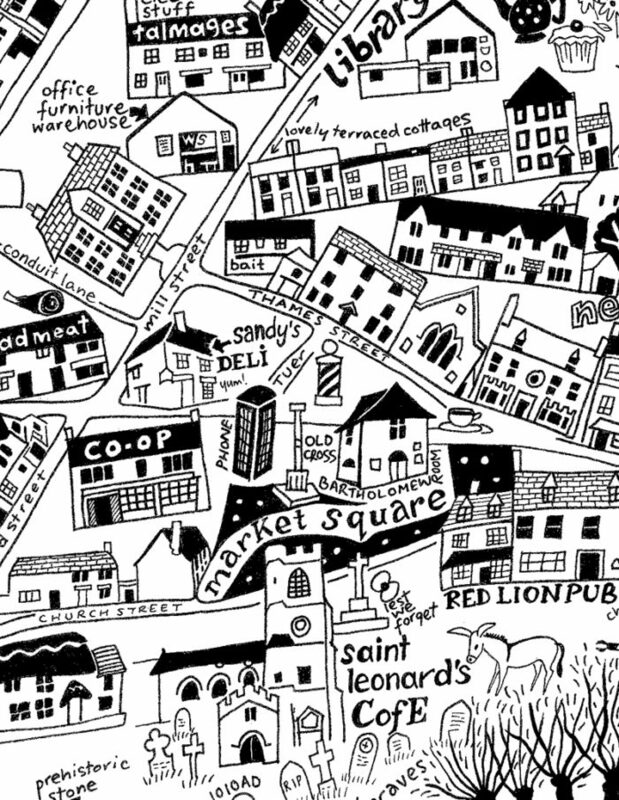 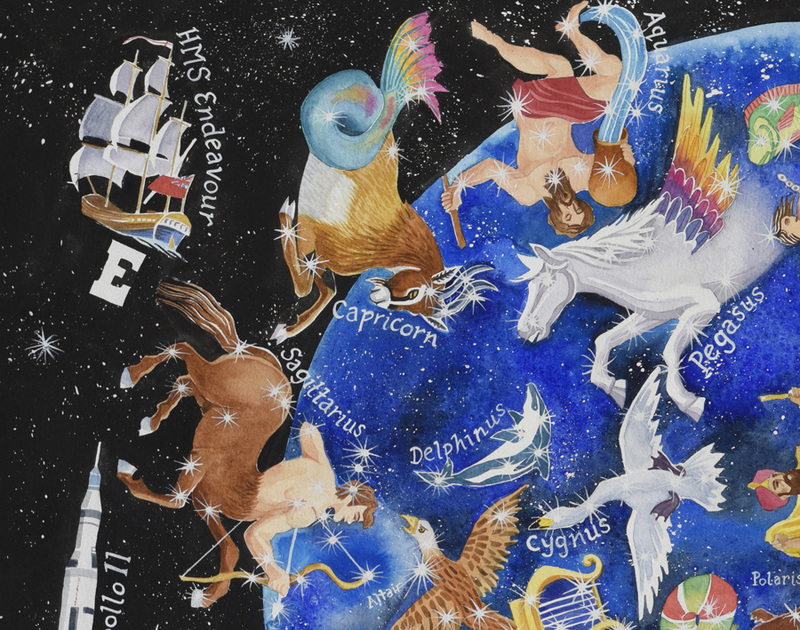 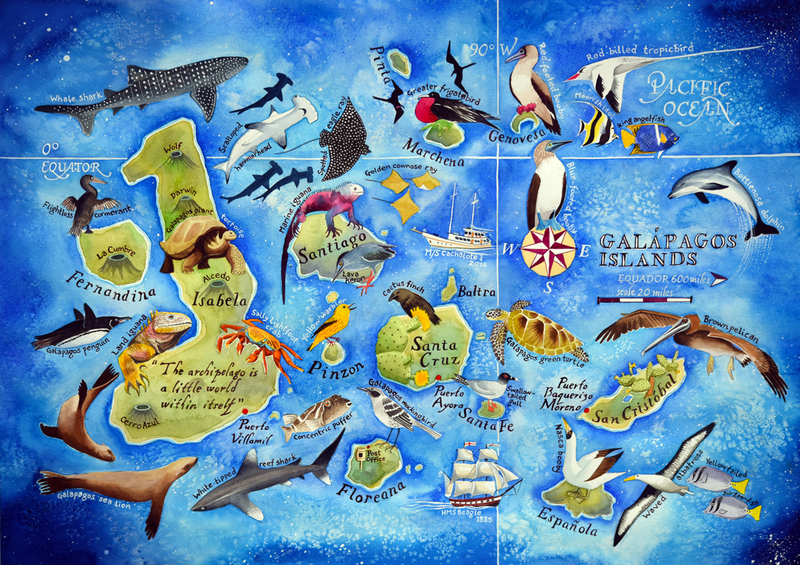 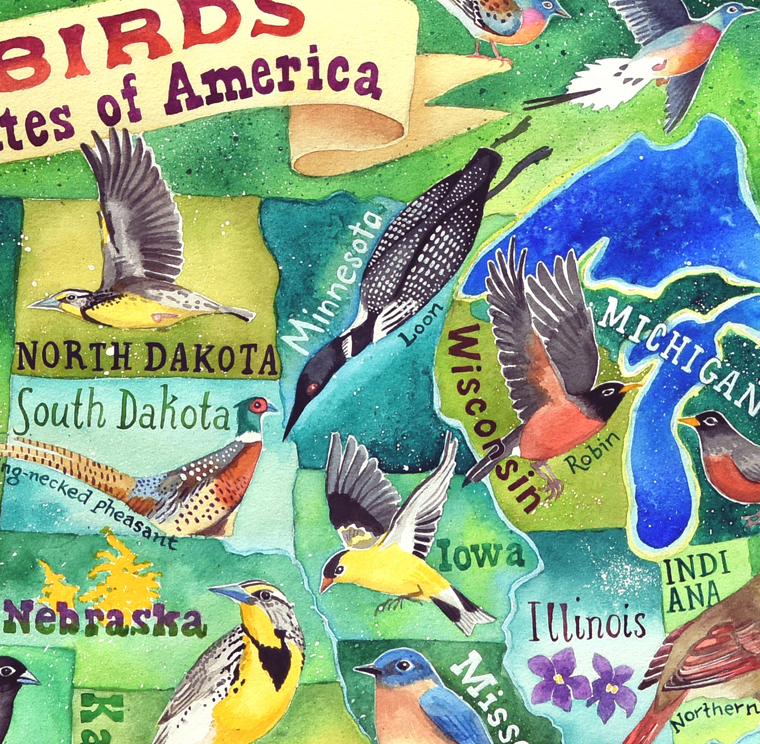 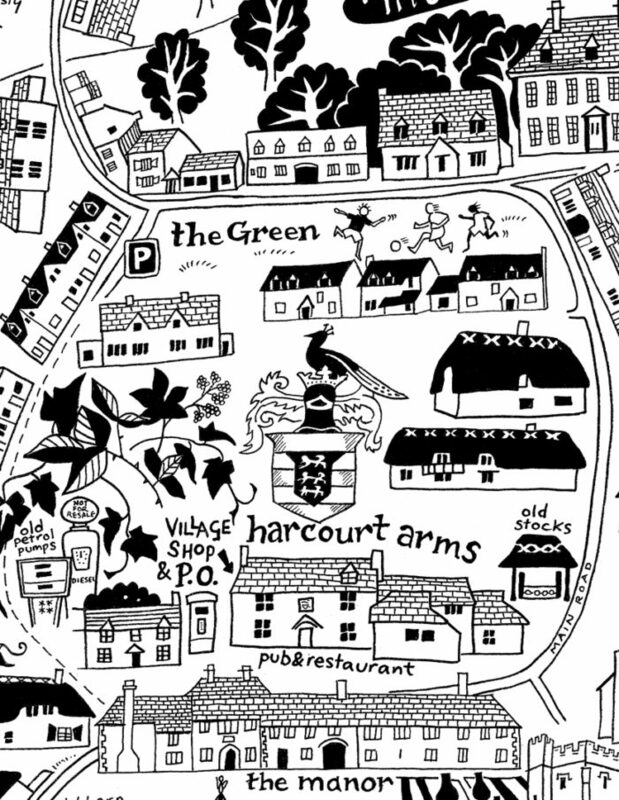 My hand painted and hand drawn maps contain magic – welcome to my cartographic wonderland! 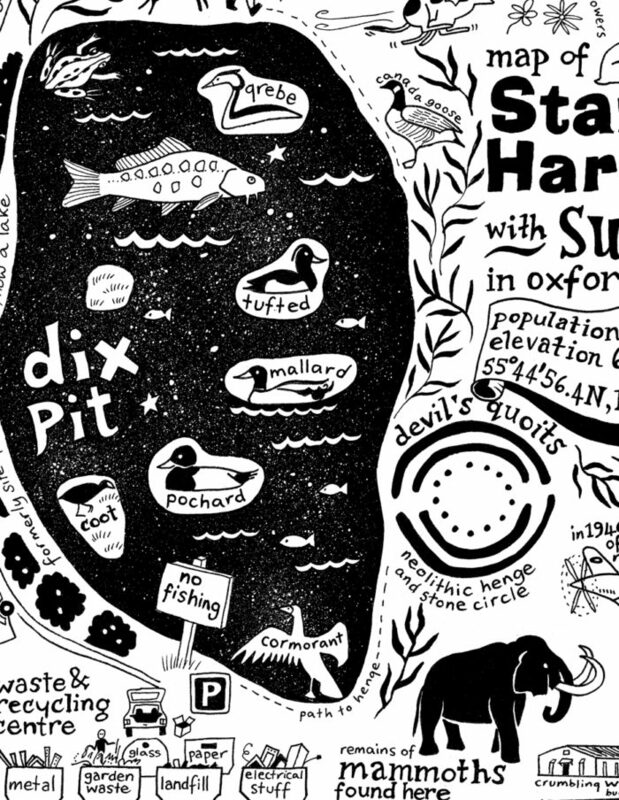 Maps should convey information that goes far beyond what a place looks like and how to get around it. 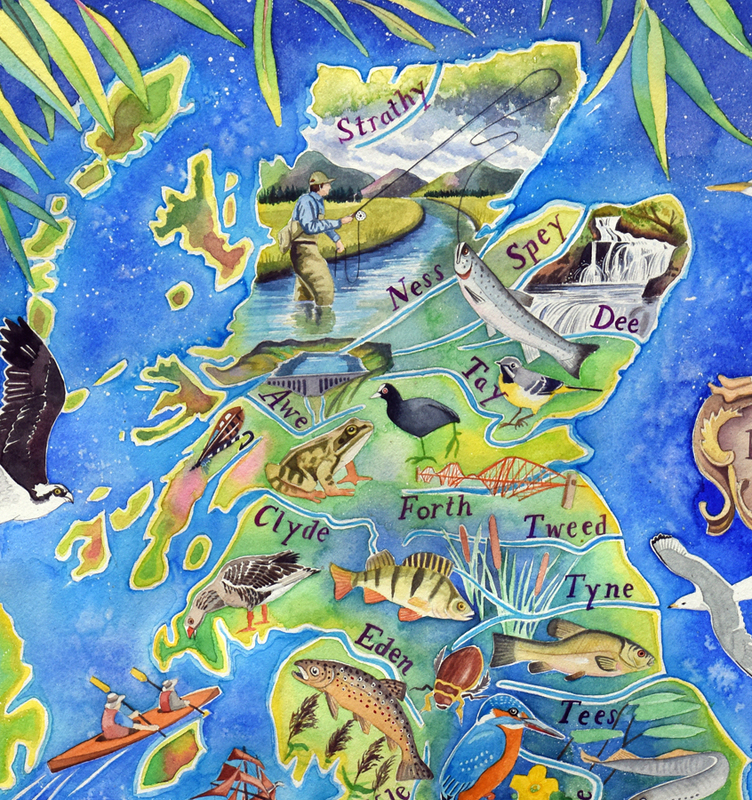 Geography is just a starting point for me; my works tell stories – sometimes factual, often witty – and they delight in knowledge. 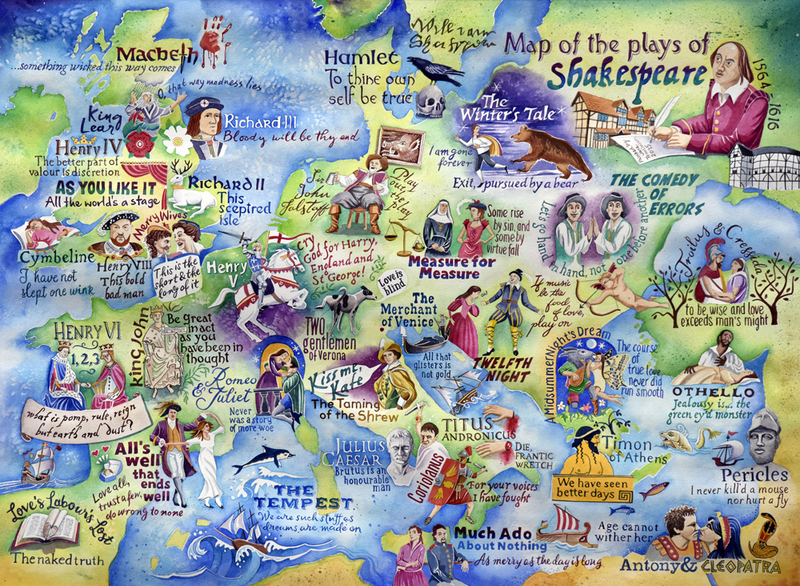 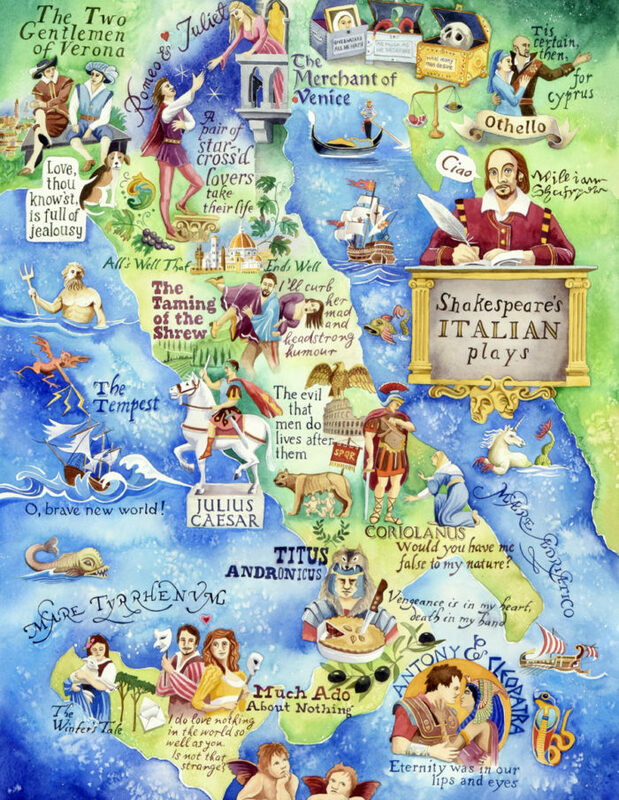 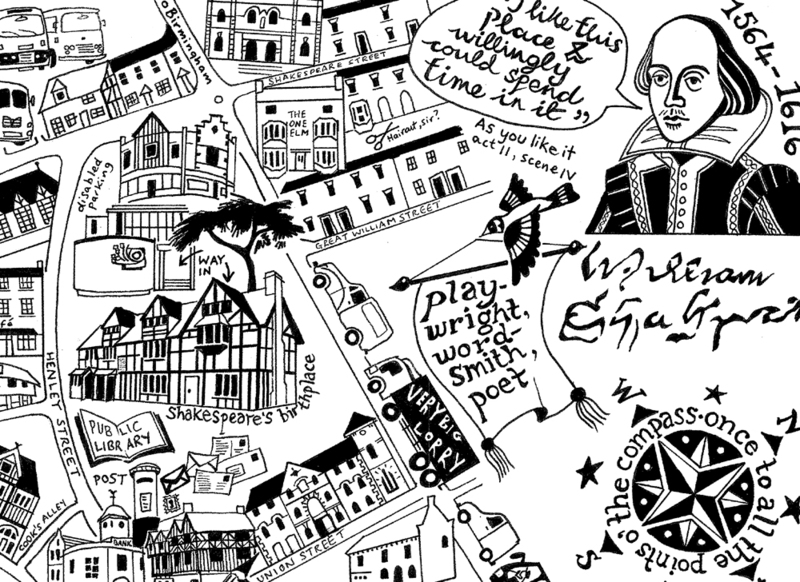 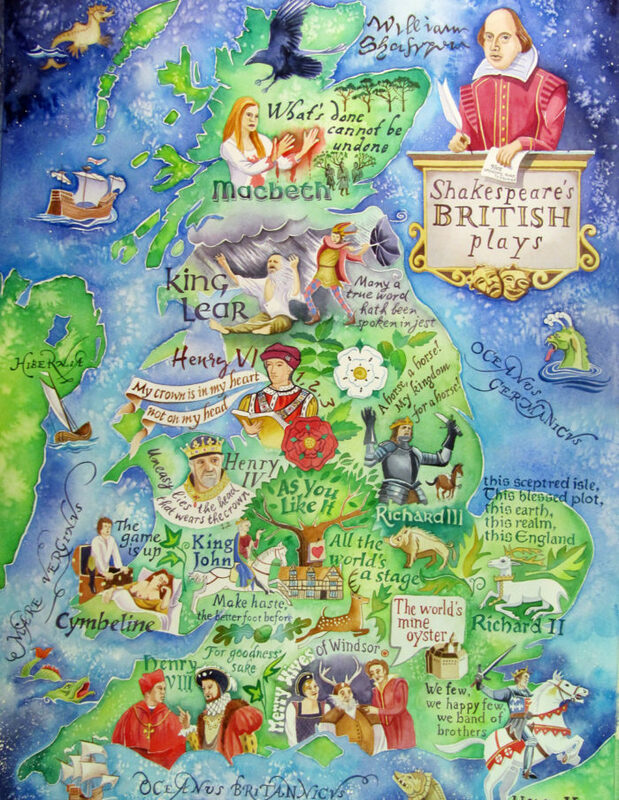 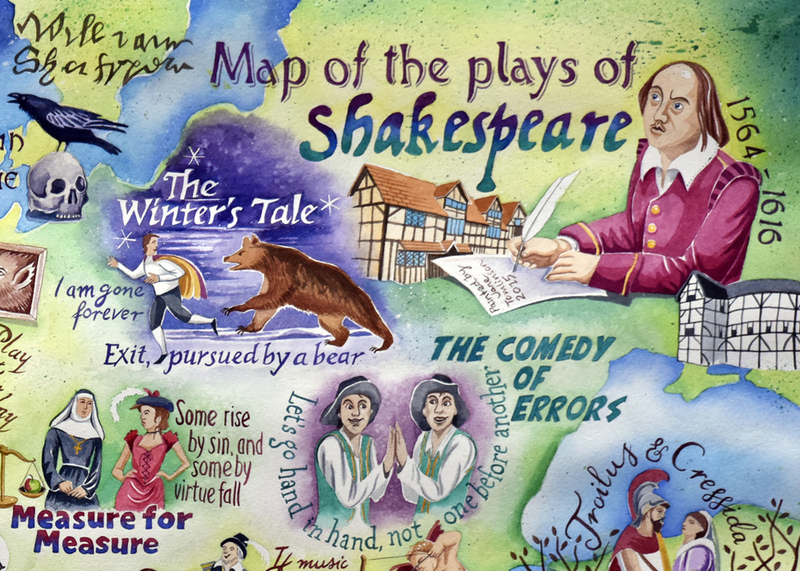 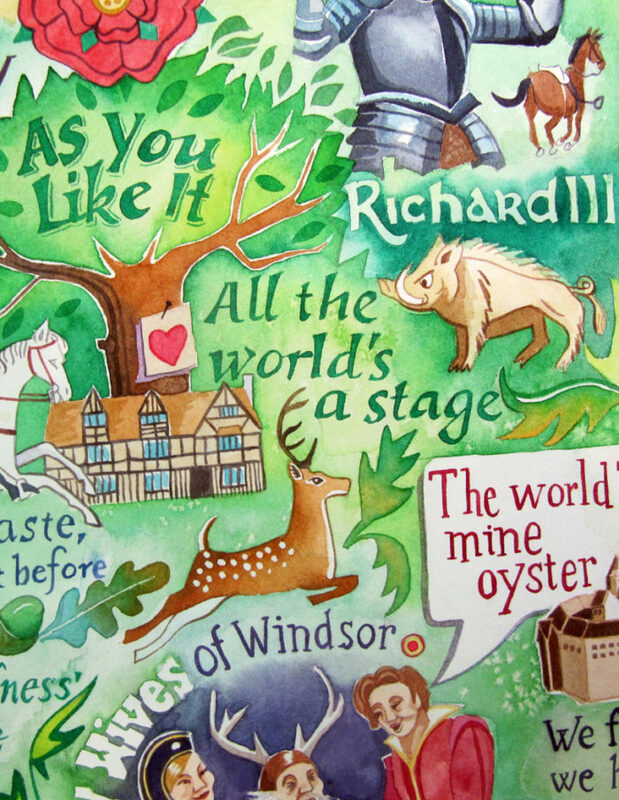 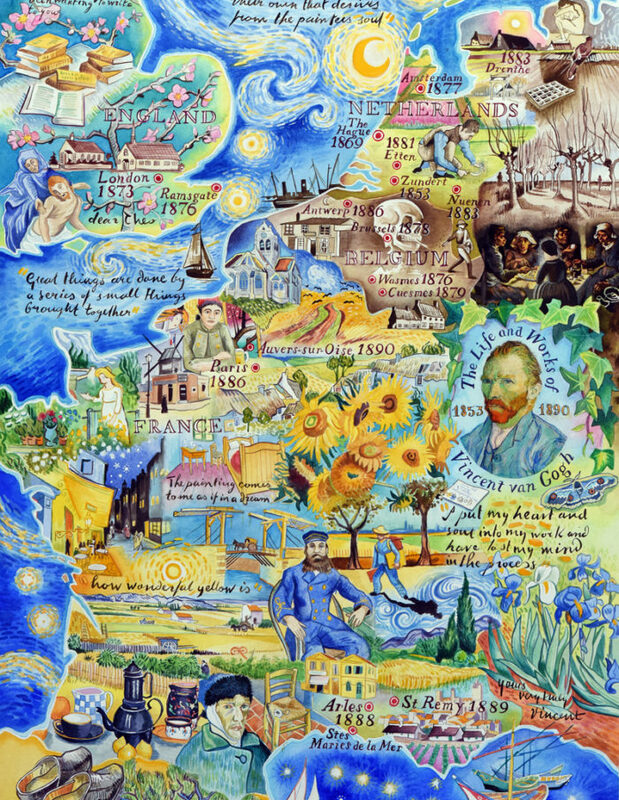 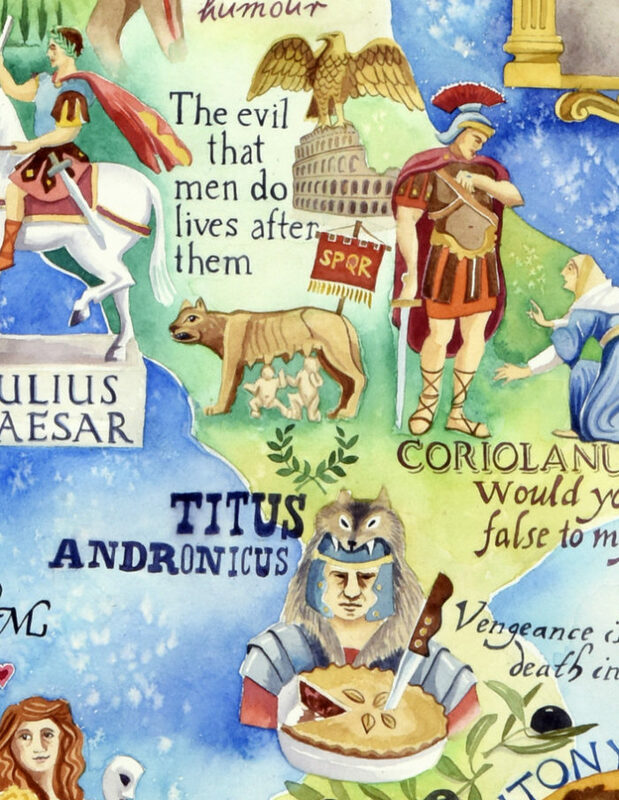 In 2015 to co-incide with the 400th anniversary in 2016, I painted a map of all Shakespeare’s plays. 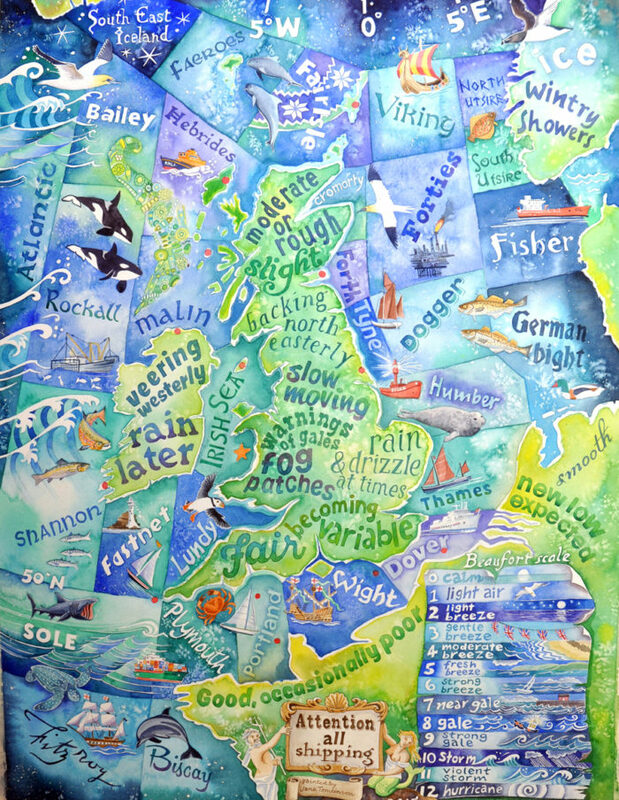 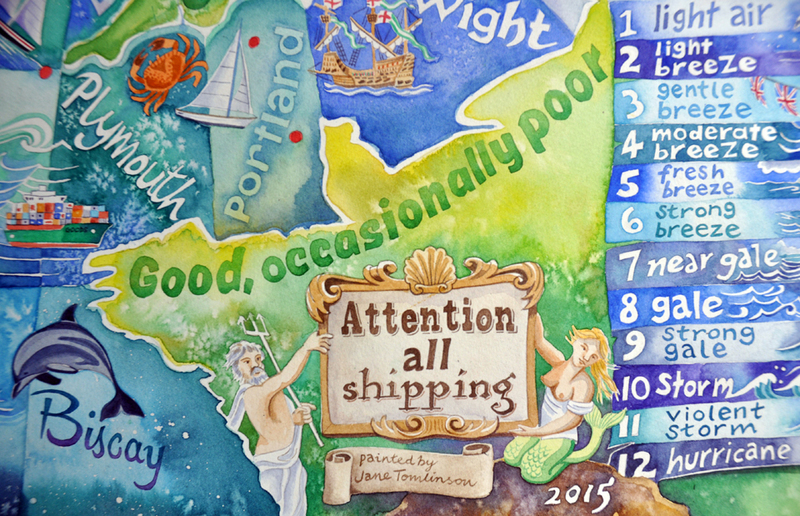 In 2016 my Shipping Forecast painting, Attention All Shipping, won a top award from the British Cartographic Society! 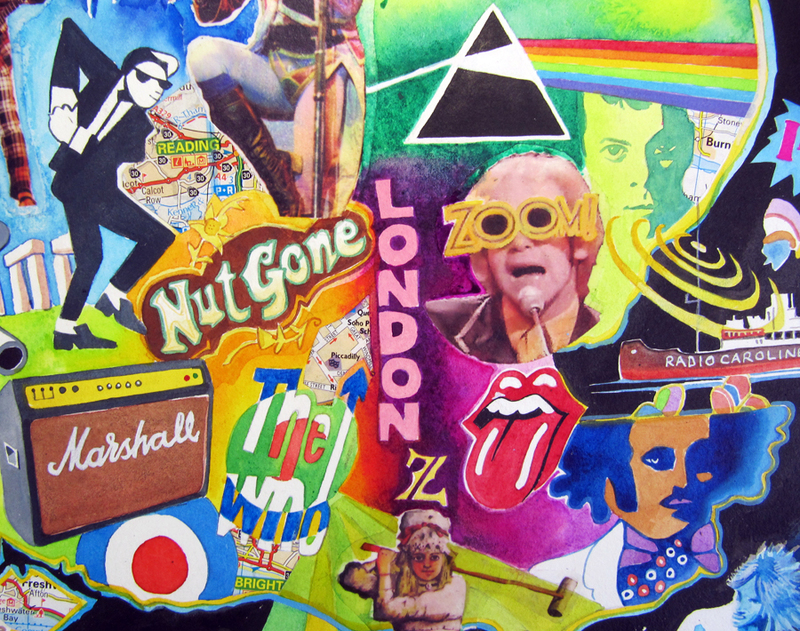 To celebrate the 50th anniversary of the release of The Beatles’ Sgt. 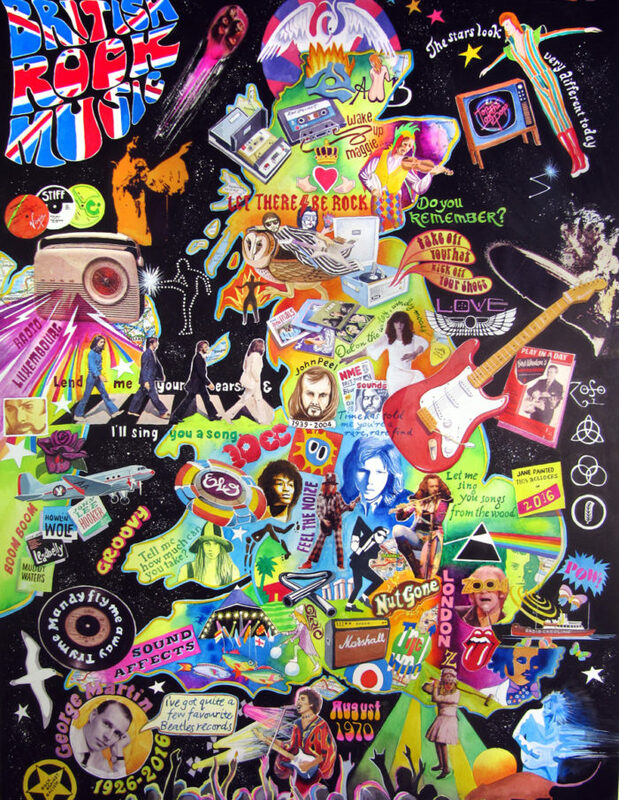 Pepper’s Lonely Hearts Club Band in 2017, I have mapped British Rock Music. 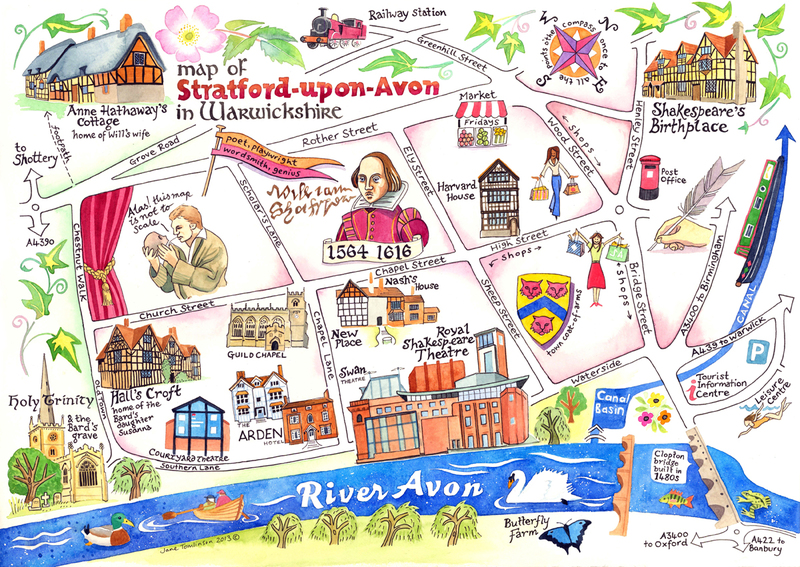 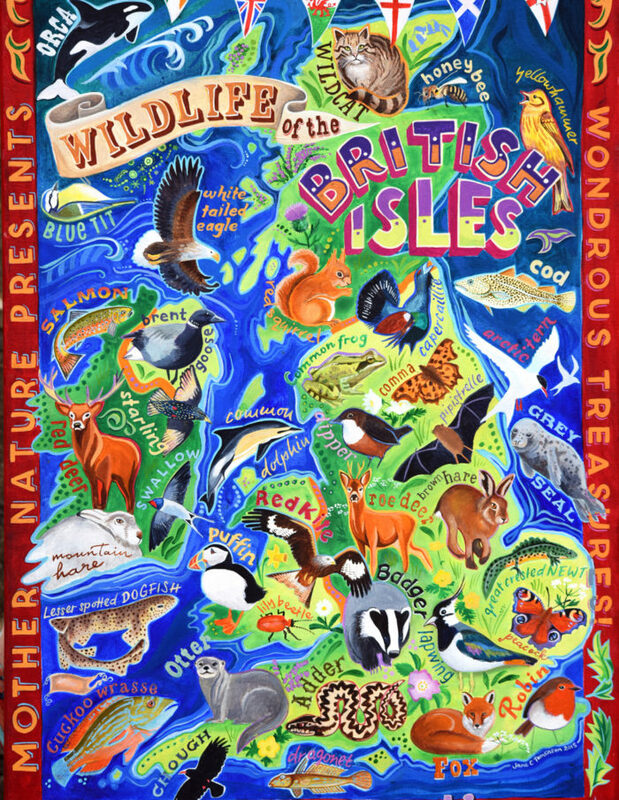 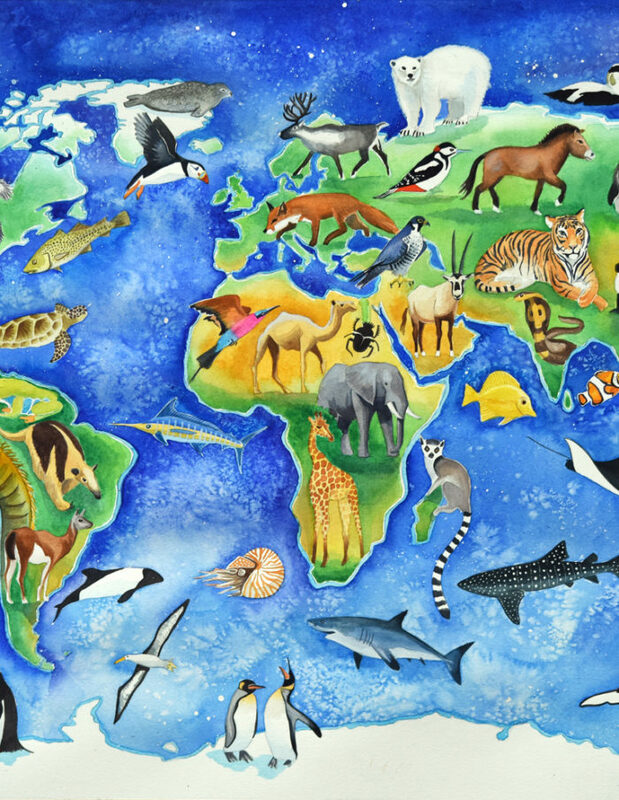 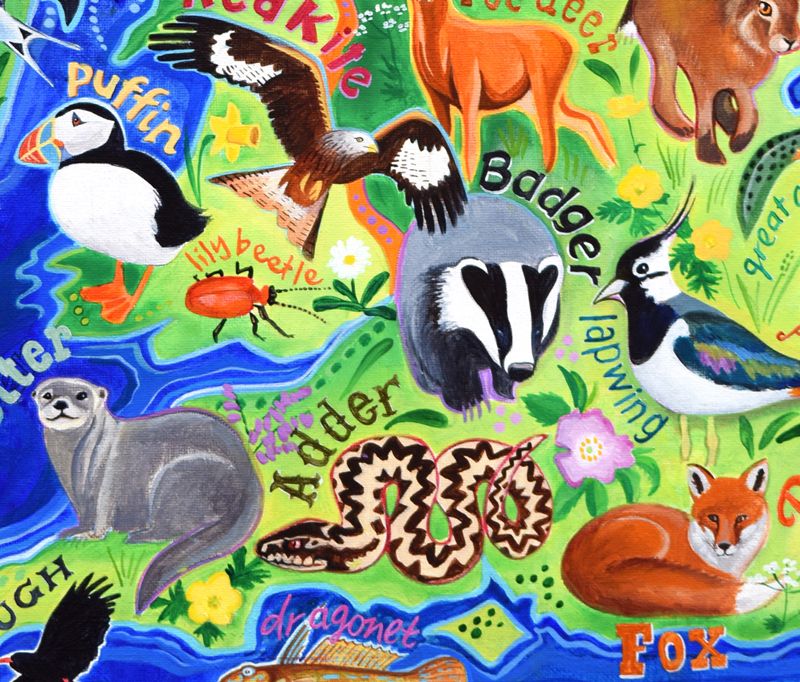 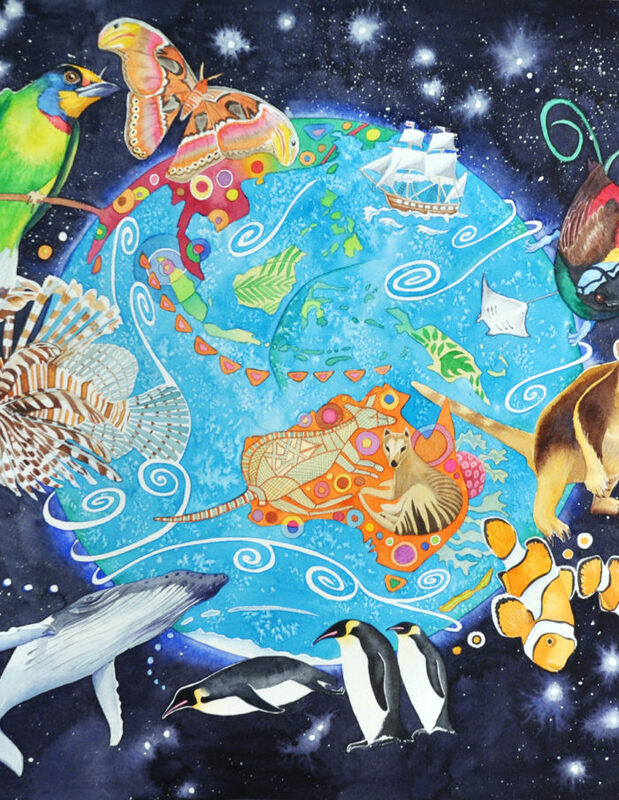 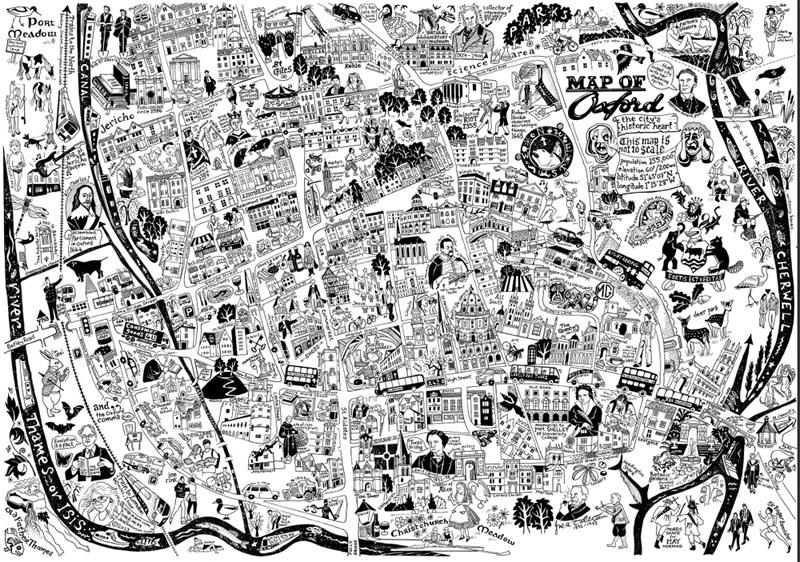 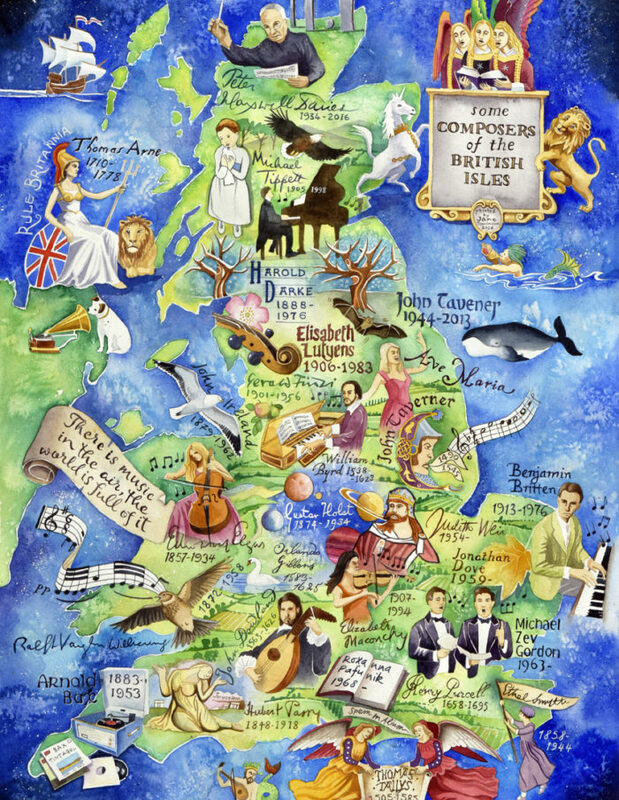 You’ll also find paintings of British Wildlife, constellations, and towns and cities, including Oxford and Stratford upon Avon. 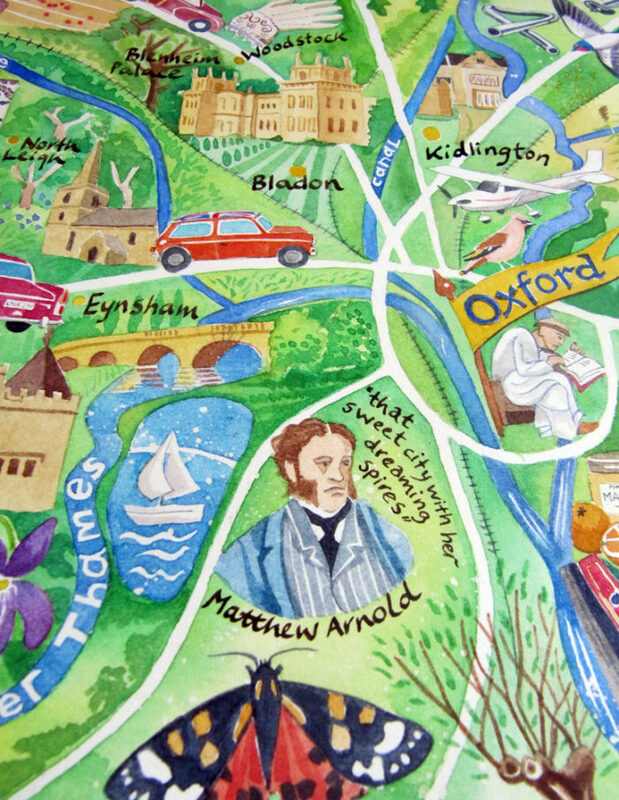 Look out for lots of local colour. 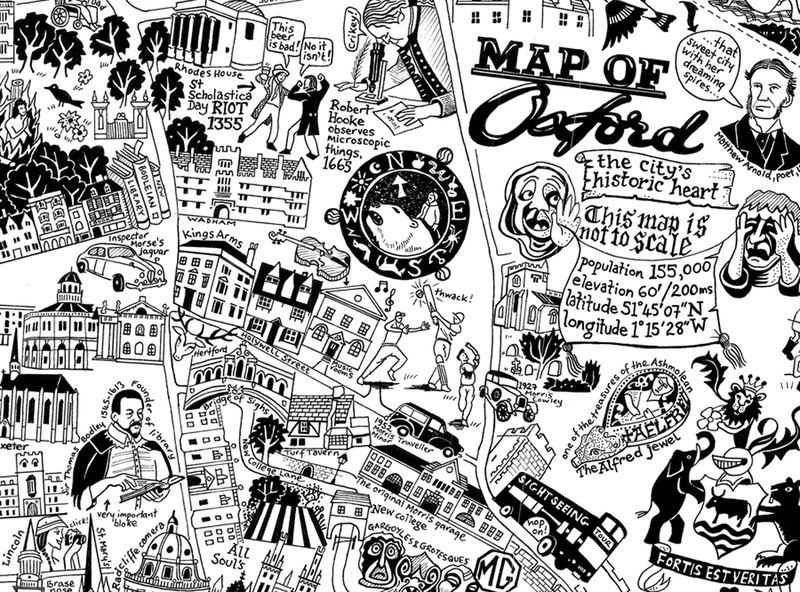 As you will see, there is nothing boring about maps!